Today, when someone leaves a comment or suggestion on one of your Google documents, spreadsheets, or presentations, you receive an email notification. With this update, you can now choose to receive comment notifications on your Android device and web browser as well. Notifications will follow the same rules as your existing notification settings, so there’s no need to update settings. Web browser notifications are controlled in the Drive settings menu and are off by default. 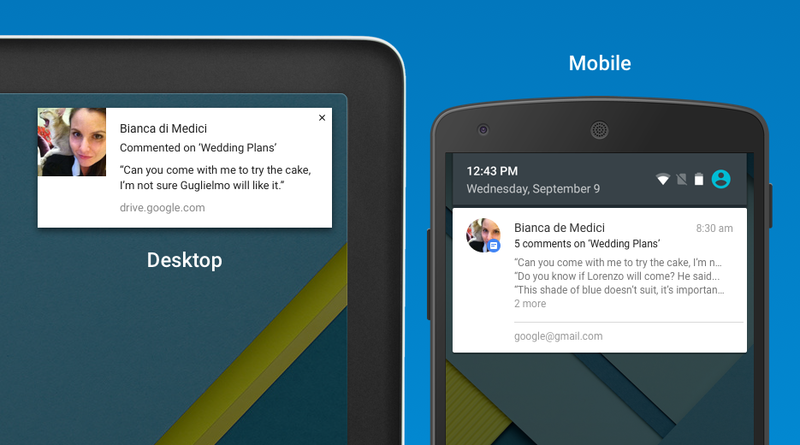 Note: You will only receive Android notifications if you have the latest Google Drive for Android app.